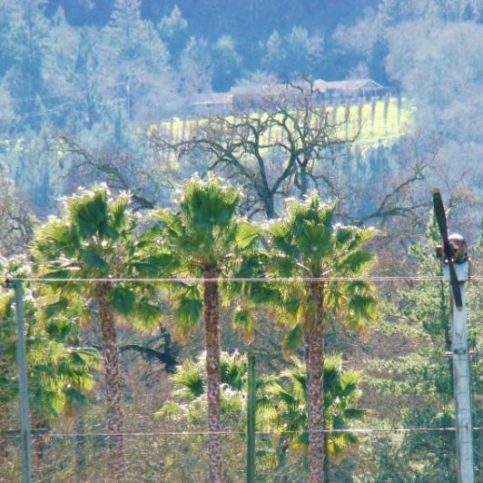 When you bought your home in Napa County you knew the trees would provide privacy from your neighbors and an aesthetically-pleasing landscape. What you probably did not imagine was overgrown branches, diseased trees, or tree insect infestations. You may not have foreseen the level of tree pruning and tree maintenance needed. Perhaps you have decided to plant a garden, and now you need an old tree removed. Or you have old stumps that need to be ground out, or sick or dying trees that need diagnosis and care. 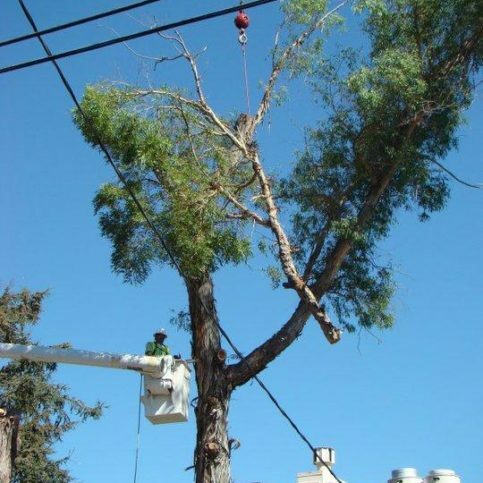 Who do you call for tree pruning services or tree removal in Napa? And what questions would you ask when trying to find a good tree service to meet your needs? Read on for more information and useful tips in choosing a good tree company. 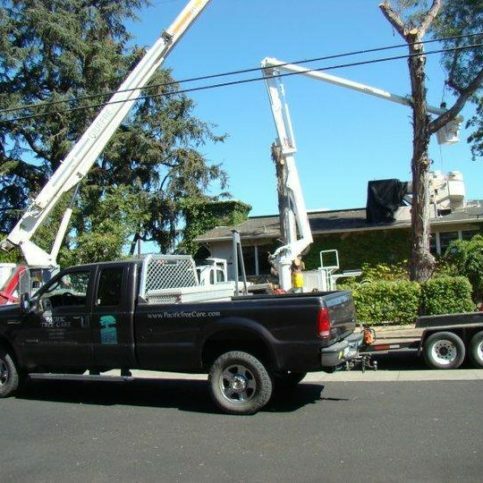 It is important to check that a tree service in Napa County has the proper licensing, liability insurance, and workers’ compensation. It would be to your benefit to check the validity of their insurance yourself. 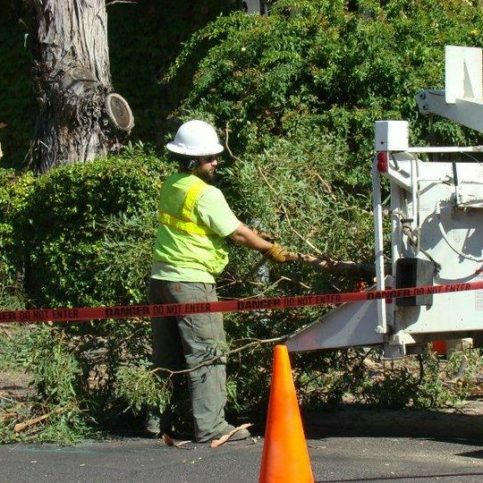 If you chose a tree service in Napa, American Canyon, Pope Valley, or St. Helena without looking into liability or workers’ compensation, you could risk financial ruin. If there were an accident that caused property damage or injured a tree worker, you could easily be held liable for any property damage and personal injuries. Napa County tree services should be certified with the International Society of Arboriculture, or ISA. In order to even qualify for the ISA certification exam, they require a minimum of 3 years of direct tree care experience, or a degree in Arboriculture or Horticulture. Only the best tree service companies in Napa County have earned the Diamond Certified award by scoring Highest in Quality in the most accurate and rigorous ratings process anywhere. You’ll never be fooled by fake reviews, since all research is performed by live telephone interviews that verify only real customers are surveyed. Most companies can’t pass this test. That’s why you’ll feel confident when you choose a Diamond Certified tree service company listed below. Simply click on the name of a Diamond Certified company below to read ratings results, informational articles and verbatim customer survey responses. Matt and Wade retrieving Eucalyptus limb from crane. You know you need tree work completed, but do you know what type of tree service you want to use? There are many tree companies out there to choose from, or perhaps someone recently handed you a business card offering tree services. 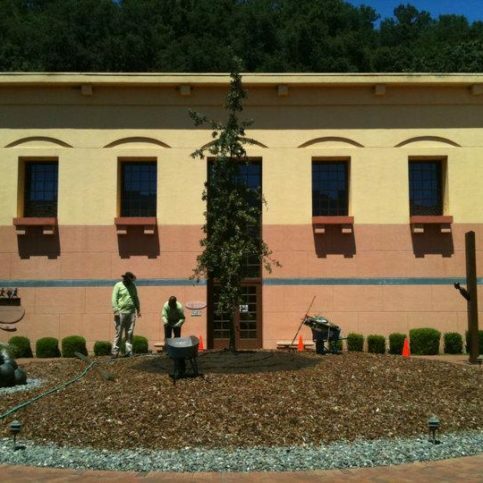 Ask yourself what kind of business you want performing your tree services in Napa County. The following questions will help you decide what you need from a local arborist or tree care company in Napa County. Do I want a Diamond Certified tree trimming company that is rated best in quality and backed by the Diamond Certified Guarantee? Do I want a professional arborist or tree health service in Napa County that is well qualified and experienced? Have I done sufficient research on tree services and what tree work entails? If I am unable to hire a Diamond Certified tree service, do I have time to conduct research on my own (which could save time and money in the long run)? 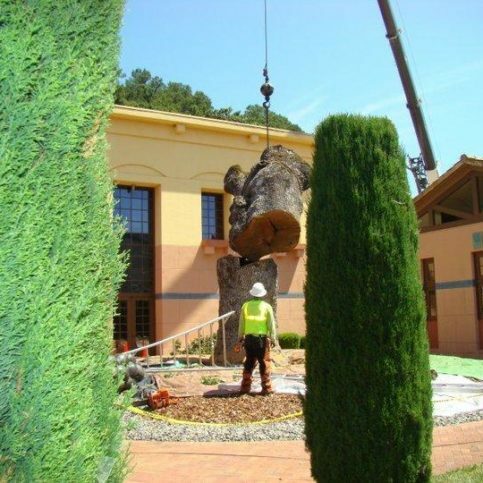 Do I have a sufficient budget for hiring an experienced and qualified tree service in Napa County? Do I have time to check references, verify licensing, verify ISA certifications, verify liability insurance and workers’ compensation, as well as check for any complaints against the company? 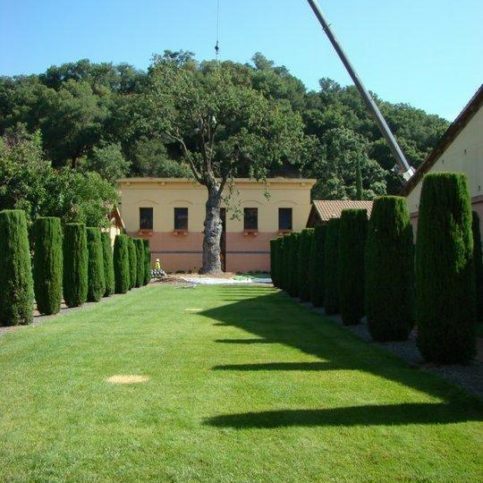 Whether you are in Rutherford, American Canyon, Napa, St. Helena, Deer Park or other rural areas of Napa County, you can choose a Diamond Certified tree service with confidence. If you are unable to use a Diamond Certified tree service, this is where it is most important to conduct your research. The types of tree care services offered in Napa County may differ by company. Most will offer services such as insect spraying, tree fertilization, tree removal, stump grinding, cabling and bracing, tree pruning, cavity filling among other services. You will need to find companies that cater to your tree care needs. After your phone interviews with tree companies, meet in person with the companies you are considering. 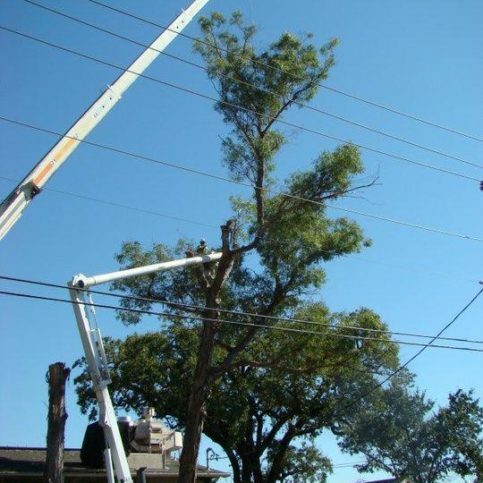 Tree services should have specialized equipment for all your needs. They will be able to offer services such as repairing tree storm damage, view restoration, and reducing tree overgrowth. Be sure to communicate exactly what you want from a tree service. Make sure you take notes of the ISA certified arborist’s answers to your questions. This is especially true if you have a complex tree care problem. Let the tree service know if you will employ an arborist for the long term. Your tree care professional should get to know your tree care needs so they can recommend the best services now and in the future for the health and safety of your trees and property. Do you use tree spikes or lifts to climb trees (remember, spikes may damage trees)? Is clean up included? When will clean up be completed? 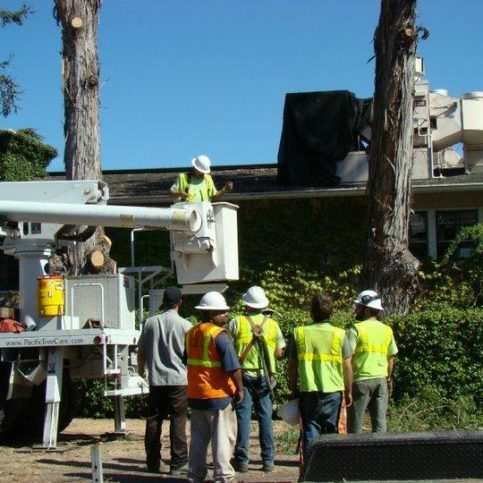 Do you provide tree storm damage removal or wind damage repair to trees in Napa County? What are the contract terms for tree service in Napa County? It’s best to choose a Diamond Certified tree care service because all certified companies have passed an in-depth ratings process that most other companies can’t pass. If you want quality from a tree care service in Napa County, you can have confidence choosing a Diamond Certified company. Diamond Certified reports are available online for all certified companies. And you’ll never be fooled by fake reviews. That’s because all research is performed in live telephone interviews of actual customers. If you can’t find a Diamond Certified tree care service company within reach, you’ll have to do your research carefully. If you do call references yourself, make sure to ask for a list of the company’s 10 most recent customers. This will help avoid a tree service only giving references of customers they know were satisfied. If you do, it’s wise to call some references provided by your tree care service. Keep in mind, though, that references provided to you by the tree care company are not equal in value to the large random sample of customers surveyed during the Diamond Certified ratings process. That’s because references given to customers from the tree service favor the company, instead of randomly selected from all their customers. So the contractors will likely give you a few customers to call that they know are satisfied. What reasons were you satisfied with these tree services? Would you call this company again for tree services in Napa County? Did they remove debris before they left? Did your final cost reflect the estimate you were given? Why or why not? Were there any hidden costs on your tree service invoice? Review your choice of tree services and make your final selection. 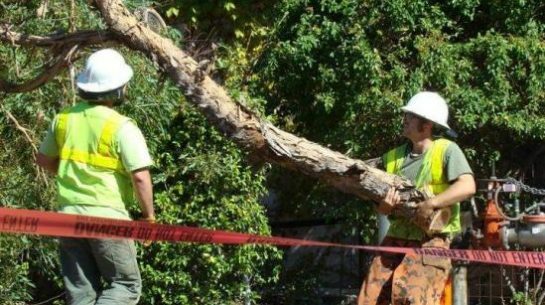 If they are not a Diamond Certified tree care company, do they have any complaints with the Contractors State License Board (CSLB)? 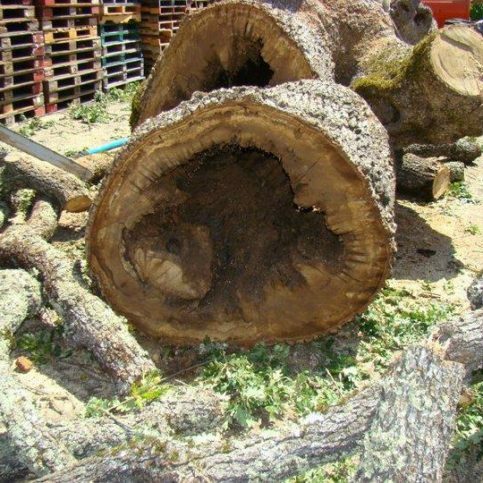 Before deciding on the best tree care service in Napa County, consider these additional questions. 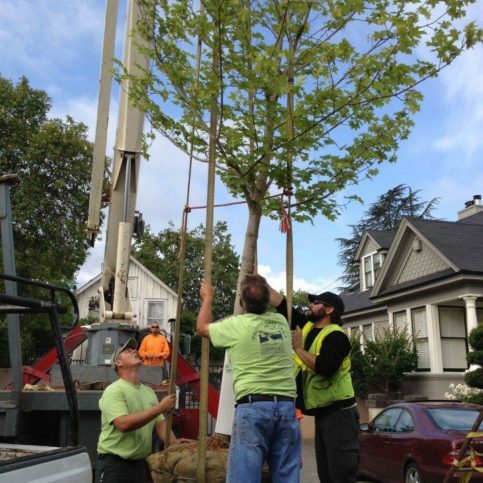 Whether seeking tree pruning in Angwin, tree cabling in St. Helena, tree removal in Napa, or tree planting in Deer Park, can you communicate your needs with the company? 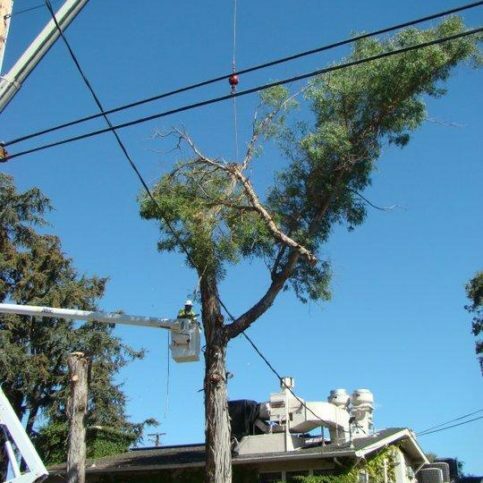 Has a Napa County tree service pressured you into tree services you do not want? 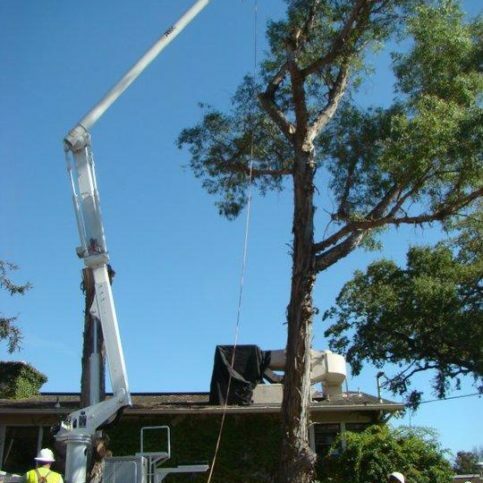 Has a tree service in Napa County expressed interest in your long-term tree work needs? Are they a Diamond Certified tree service in Napa County? If they are not Diamond Certified, do they have any complaints with the Better Business Bureau or elsewhere? 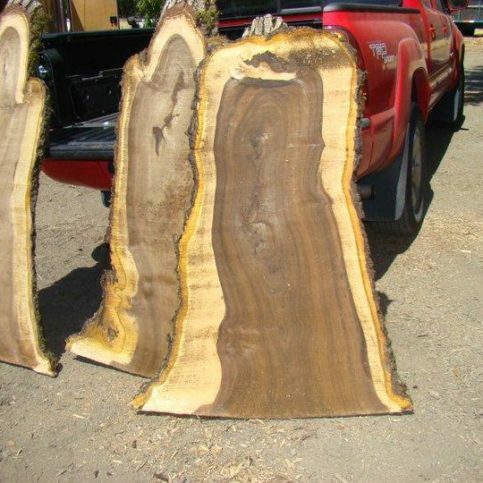 In the long term, good tree care will be an investment in your home. Now that you have chosen a good arborist, tree trimmer or tree service, make sure you have everything in writing, including detailed descriptions of the services to be performed. This will help avoid misunderstandings. Have your tree trimmer or arborist give you a start date and estimated time for completion. Ask them to notify you in advance of any additional costs that were unforeseen in your original estimate or any changes to the start date or completion date. You received an estimate based on the tree services you asked to have completed. Of course, unforeseen problems may arise. Ask for any changes to your cost in writing. Tell them you must agree to any additional costs prior to completing tree services. If you haven’t already, ask if there is an extra charge for travel to your home. Sign the contract and do a walk-through with the senior contractor before it begins. 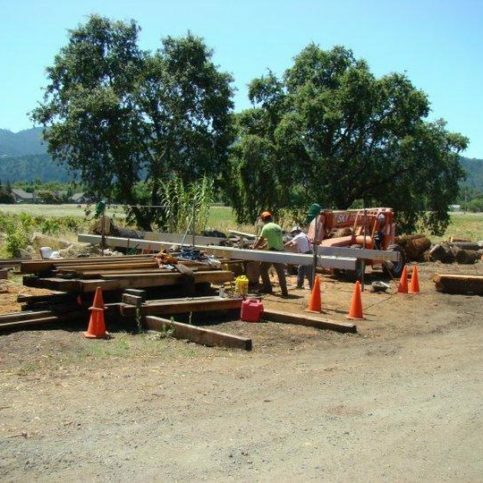 Once you’ve signed a contract for tree trimming or tree health screening, you and your Napa tree contractor are bound by that contract. For this reason, be sure you understand all terms and have agreed to all specifications in the contract. Even when you’ve hired a good tree company that takes customer service seriously, there may be noise, debris and a few inconveniences while your tree service is being completed. 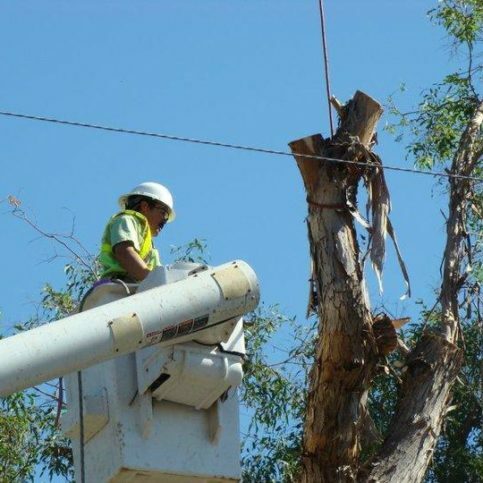 There are a few ways you can help the scheduled tree services go more smoothly and easily. First, make sure not to get close while the arborists or tree contractors are completing the work, as this could be a safety hazard. Ask your tree care professional what a safe distance is for you, children and pets. Only talk to a tree care worker when they are on the ground. Keeping your windows and doors closed as much as possible can help limit the amount of dust, pollen or particles that enter your home. You may also want to cover or move outdoor decorations or vehicles that may be in the draft zone if your contractor is cutting, pruning or spraying your trees. Whether you need tree pruning in Napa County, stump grinding, tree straightening or tree fertilization, a good tree contractor will get to know your tree needs specifically. This way they can make recommendations for future tree work to keep your home beautiful for years to come. Restate your understanding of the agreement for tree services. 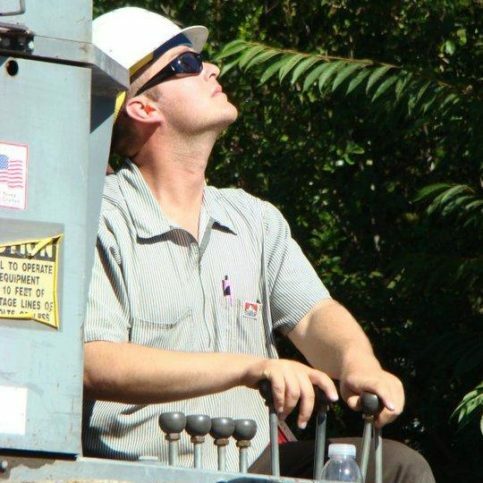 Most problems with professional tree services occur because of a breakdown in communication. By being clear about expectations, you can avoid most conflicts. When working with your tree service in Deer Park or Calistoga, ask if you should call to check on the progress of your tree work. Be sure your contractor has a phone number where they can always reach you while they’re performing tree services. Why would you want to be a good customer? Everyone appreciates a pleasant customer. This is no different for tree services. Tree care professionals appreciate customers who are straightforward, honest and easy to work with. Always make sure to check that all of your tree services in the contract were completed as agreed upon and to your satisfaction. If they agreed to clean up work, make sure your yard was left clean before the company leaves the premises. The Napa County tree company’s name, address, telephone number, and their license number at minimum. Some tree services may provide a warranty for tree work. 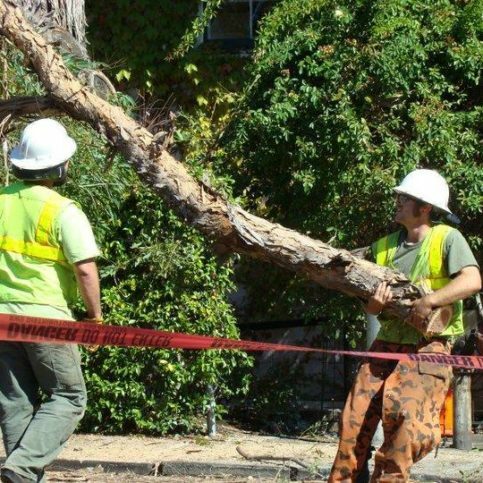 If you hired a tree service in Napa, American Canyon, St. Helena, Calistoga, or another area of Napa County, did they provide you with a written warranty? What does this written warranty guarantee? It should promise everything you were told upfront, and should detail the company’s responsibility as well as yours. 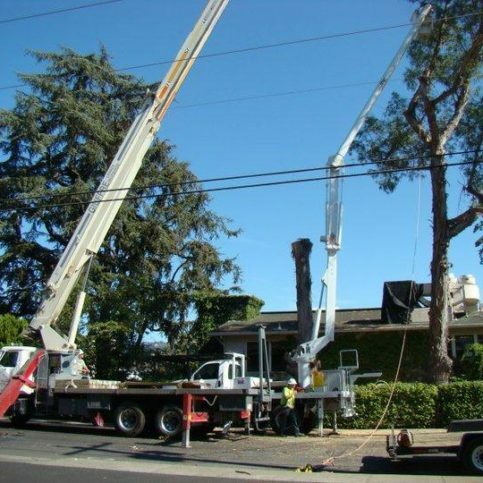 If you have owned property with trees, you probably know what type of work you need completed by tree services in Napa County. However, if you are new to home ownership, you may wonder what tree services are commonly performed or available to you. Your tall tree leans at a noticeable angle. This could be a hazard if there are strong winds during storms. Leaning trees should be corrected by a professional tree service to avoid property damage or personal injuries. Trees need proper light, pruning, and food to help it achieve a pleasing tree shape and to live longer. This includes tree fertilizers, which will increase the health and nutrition of your trees. There are both organic and conventional fertilizers for trees that your Napa County tree service can provide. Solar Enhancement completed by professional arborists in Napa County will ensure there is sufficient light for solar panels to function adequately. If your home has solar panels in Napa, you will see improved solar functionality by reducing the amount of shade from trees. Perhaps you wish to plant Ambrosia Pomegranate trees, or maybe you wish to plant citrus trees. Either way, consulting a professional tree service will assist you with tree planting in Napa or American Canyon. Common Products for Tree Services in Napa County? Your Napa County tree care professional may use a number of different products and tools to care for your trees. Here are a few things to expect they may use when performing tree care services. Professional-grade chainsaws can be used by a Napa County tree service to trim trees, clear utility line areas, or for other tree shaping and tree pruning.